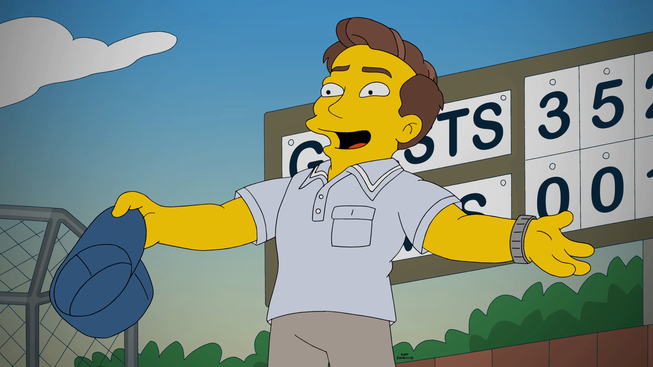 ← 591 "The Burns Cage"
The Simpsons family wakes up from cryo sleep in a space ship except Homer. 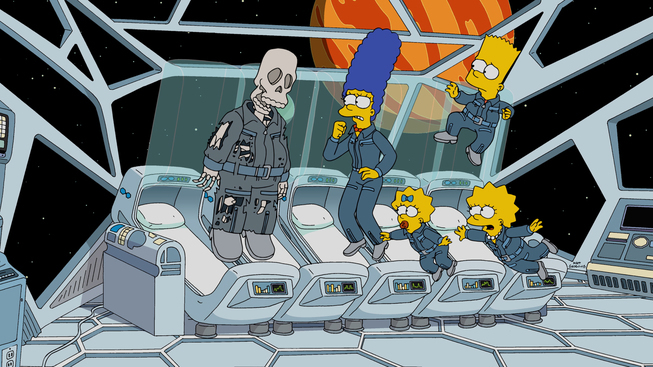 Marge opens his pod but he comes out as bones. 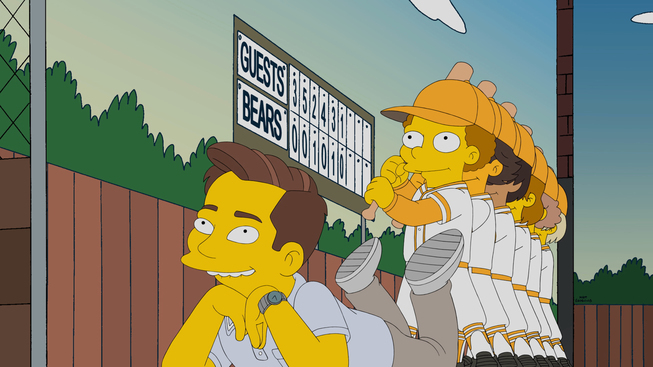 Homer flies across the screen driving The Homer. "How Lisa Got Her Marge Back" is the 18th episode of season 27 and it aired on April 10, 2016. 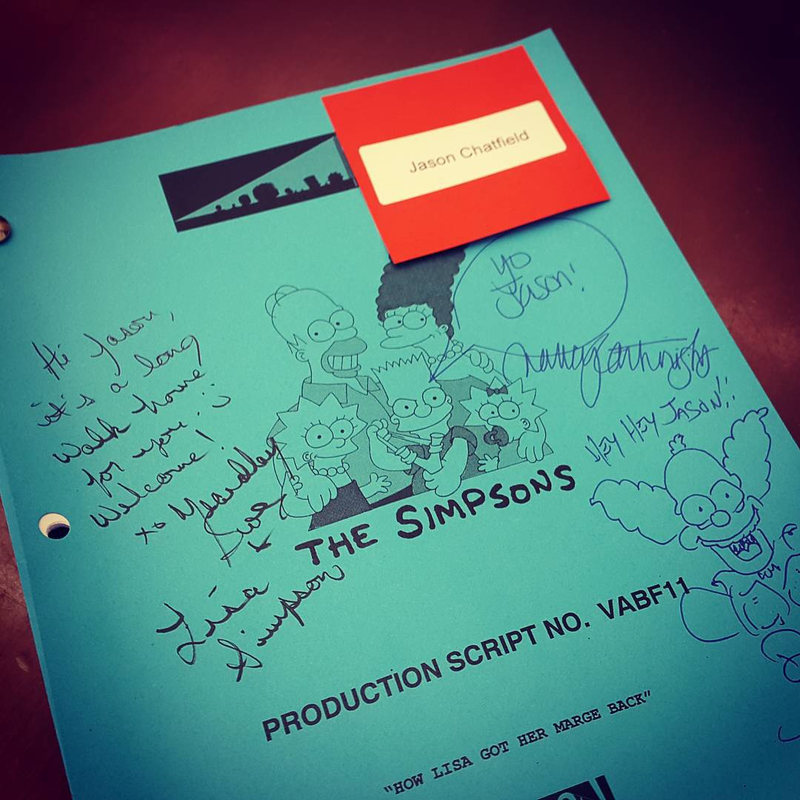 "After getting into an argument, Marge takes Lisa on a touristy trip to Capital City, where, after attending a musical, they meet the show's star, Andrew Rannells, who reminds Lisa how lucky she is to have such a great mom. 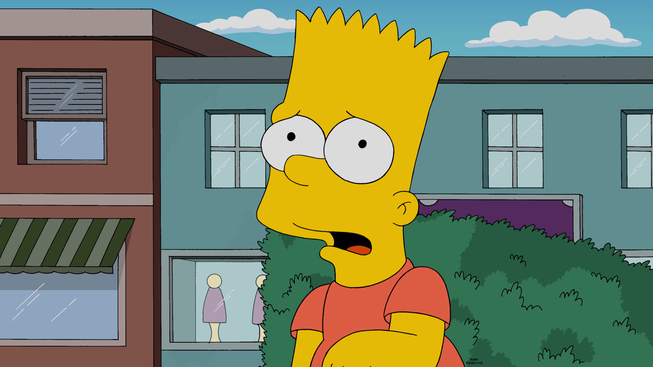 Meanwhile, Bart is frustrated that everyone expects his pranks, so he teams up with Maggie to trick people." Bart buys a money grabber, a device that tricks people with the old money bill and string prank. However, people realizes that it's one of Bart's pranks. After being found out by everyone, Bart gets pranked by Archie Comics characters. Later he tries to pull a prank on Ralph, but fails too, while Ralph bites on the school's electric wires. At breakfast, Lisa tries to impress Homer and Marge with a new sax solo, but Homer leaves for work, and Marge stays to listen to her playing. Later on that day, when she leaves for her room to fix one of her reeds, Marge confesses to Homer that she hates Jazz, even Lisa's. Lisa was, however, hearing from the steps and confronts her, avoiding her affection and calling her "Marjorie". To pacify things with Lisa, Marge takes her on a trip to Capital City, but her attempts makes it worse, and Lisa stopped wearing the pearl necklace Marge gave her on her first day of school. On a last attempt, Marge takes them to the Bad New Bears - The Musical. 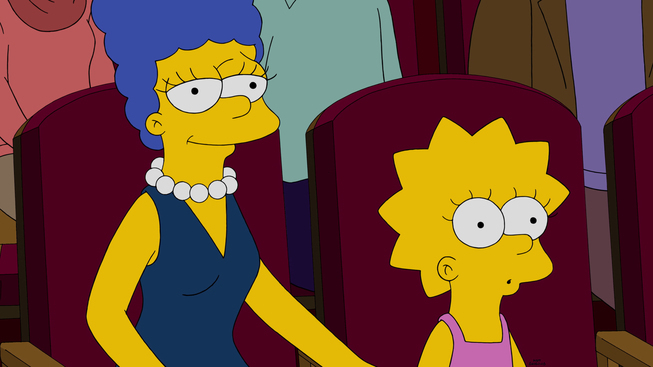 At the show, Lisa understands how Marge has different liking then hers, and pretends to like the musical, like Marge did with her till then. At the exit, they meet Andrew Rannells, the show's star, and invite him for dinner. 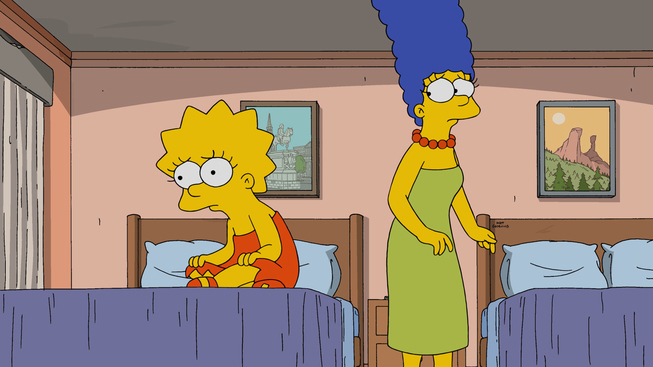 In Springfield, Homer gives Bart the responsibility over Maggie while Marge and Lisa were out. Bart realizes soon that playing with Maggie can be fun and includes her in his pranks. They begin by pranking Rod and Todd into believing Maggie was an angel and giving a fake glass Maggie to Gil, pranking him into thinking he broke a baby. When they try to prank Homer into thinking Maggie was a baby Bart, Homer tries to strangle her, ending their fun together. At Capital City, Lisa discusses Andrew's musical, saying that Marge, unlike her, thought he was amazing. After she complains about her family, Andrew points out that Lisa just ignored all reconcile attempts Marge did. Feeling bad, Lisa and Marge apologize to each other and Lisa sings "Don't Rain on My Parade" on top of Capital City buildings. At the end she joins Martin, Database and Milhouse on Bart's Treehouse to play, while Homer takes out the trash full of Duff Beer bottles, as well as Grampa and the toy sax Maggie tries to play next to Marge. Modified on April 1, 2018, at 17:52.